The host of "My Cat From Hell" offers up the A-to-Z of what it takes to truly understand the cat-human relationship in "Total Cat Mojo: The Ultimate Guide to Life with Your Cat." NEW YORK (AP) — Jackson Galaxy, the cat fixer of Animal Planet fame, is out with a new book that urges humans to meet their felines halfway. So what, exactly, is cat mojo, and how can their humans help out with that? 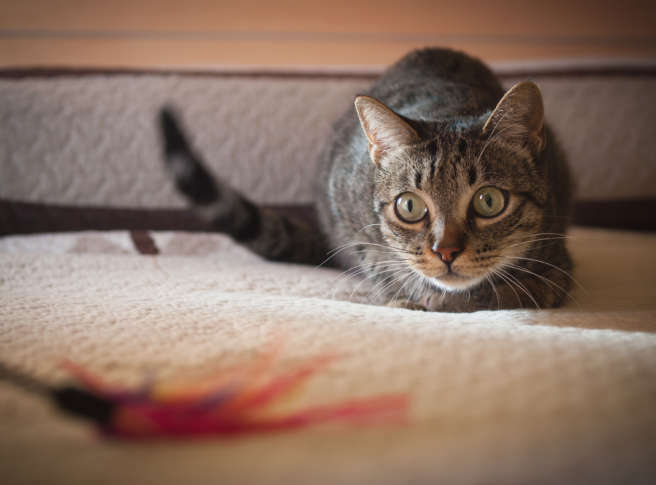 The book covers how cat owners can establish routines and rituals, track patterns of behavior and act accordingly, such as how many and where to place litter boxes, and how to help cats get their mojo back when things go wrong. A good place to start, Galaxy said, is with the biggest mistake he sees among cat owners, the idea that cats aren’t cats at all. Those terms, he said, involve recognizing the “raw” in your cat. Among his tricks is the slow blink, which is pretty much how it sounds. “Watching them return that gaze to you is that Rosetta Stone, it’s that in, that way of saying wait a minute, we can speak together,” he said. Galaxy is a strong advocate of animal adoption. He urges cat owners with their hearts set on kittens to consider two over just one. He specifically urged the adoption of black cats, which he said often linger in shelters due to their blending in while caged, along with long-standing stigma and superstition. While remembering that your cat isn’t a dog, that you’re learning a brand-new language and that you must meet a cat halfway, Galaxy said a touch of anthropomorphization may not be the worst pet owner sin. WTOP’s Jack Moore and Jack Pointer contributed to this report.